This is an extremely comprehensive site on ancient languages, Occidental and Oriental. If you are at all familiar with the problems surrounding the possibilities for the eventual decipherment of Minoan Linear A, which are legion, I urge you to studiously read this post in its entirety. Before I get to my review, allow me to give you a bit of background on the extensive skills and achievements Ms. Leonhardt has brought to the field of decipherment and translation of Minoan Linear A, Mycenaean Linear B, and most recently, to Arcado-Cypriot Linear C, interests which she and I share on so many levels. Ms. Leonhardt takes a novel approach to research into these all-important syllabaries. Her methodology is quite unlike anything I have ever encountered from any other decipherer or translator, past or present, of Mycenaean Linear B. I have to say that she is a refreshing breeze in the field of ancient linguistics, precisely because of her daring, yet utterly consistent, methodology, even if it flies in the face of convention. While she and I do not entertain even remotely close hypotheses on the theoretical underpinnings for the decipherment of any of these syllabaries, and are often very much at odds with one another in our approaches to the innumerable problems besetting research in this field, we do agree to disagree, if only for this reason, that we are both well aware that each of us is taking a unique approach to the problems we encounter. Gretchen’s methodology, just as my own, flies in the face of convention, but for reasons almost diametrically opposed. But this precisely why she fascinates me so much. I am little concerned what anyone else thinks of my own approach to the decipherment of these syllabaries, just as I believe Gretchen is. The only thing that really matters is that we, she and I, and for that matter, any researcher in this recondite field, must perforce follow the dictates or his or her conscience and intuitive hunches, and the rational constructs underpinning the methodology pursued. All else is of little or no consequence. After all, Michael Ventris followed his intuition and his rational procedures, which inexorably led him to the discovery he was bound to make, that the Linear B syllabary was the first ever script used to write a Greek dialect, notably Mycenaean Greek. I say, the first script, because there were in fact three of them, Linear B for Mycenaean Greek, Linear C for Arcado-Cypriot, and the ancient Greek alphabet in its various avatars. Gretchen Leonhardt and I share a profound dedication to research into all three of these ancient Greek scripts. Having a cursory acquaintance with the Japanese Kanji system of ideograms, I have enough of a background in this regard to at least appreciate what implications Gretchen Leonhardt’s novel approach might potentially have on the eventual decipherment of Minoan Linear A. While it was manifestly difficult for me to follow Ms. Leonhardt’s analytical breakdown of Japanese Kanji for personal names personal names (anthroponyms), surnames, and place names (toponyms), I did manage to struggle through it. The moment she mentioned the Kanji KA, which as she points out, can yield up to 25 definitions and 52 names, as per above, I knew what she was up to. KA is a very common syllabogram in each of the syllabaries, Minoan Linear A, Mycenaean Linear B & Arcado-Cypriot Linear C.
Characteristically, Ms. Leonhardt notes that “I also pay attention to rare kanji as well as to words with archaic and obscure definitions.” If there is one thing Ms. Leonhardt and I have in common, it is this: a strict attention to details, however esoteric. That is the first thing about her phonetic method for the decipherment Linear A which seized my attention... though certainly not the last. She goes on to consider the ramifications of other kanji, RI, RU & MA, which once again parallel other very common syllabograms in all three of the Centum syllabaries mentioned above. Then came the second lightning bolt. Again, with an eye for the minutest detail for even the rarest and most obsolete kanji, what would she happen upon but the definition of “gem, precious stone; lapis lazuli”. Lapis lazuli. Now that caught my attention! 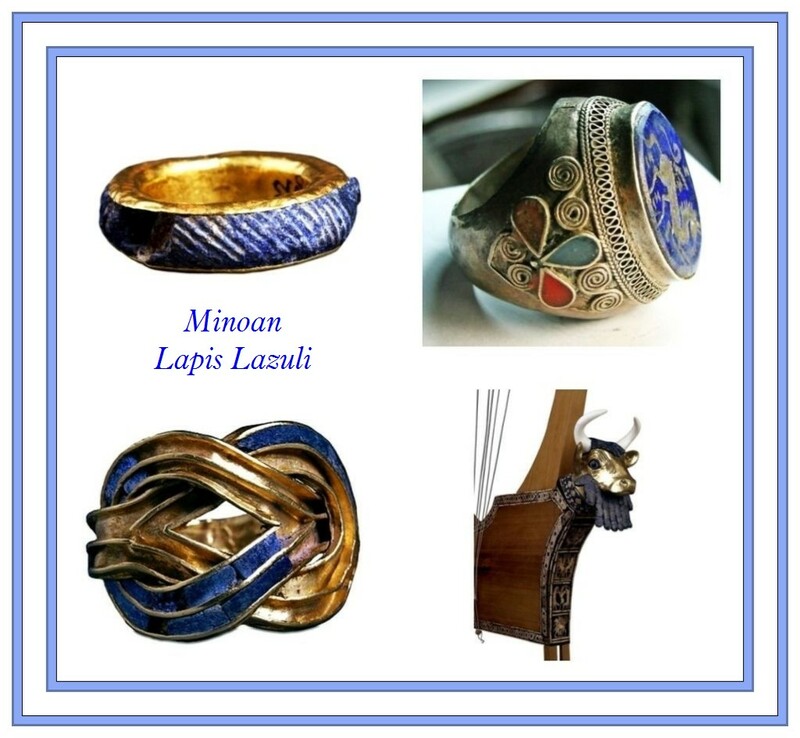 The Minoans were among the very finest crafts workers of lapis lazuli in the entire ancient world, whether in their own time or later. We note also that Ms. Leonhardt cross-correlates the nominal Kanji forms lapis lazuli with its verbal counterparts, “chafe, grind, rub, polish, scrape”, finally taking the last step to the logical combination of the nominal and verbal forms into the sense of  “polished lapis lazuli gem”. It is precisely this sort of cross-correlative reasoning which impresses me most with Ms. Leonhardt. It is Ms. Leonhardt’s intuitive grasp of the extreme importance of lapis lazuli to the pre-Mycenaean Minoan economy which most impresses me, all the more so in light of the fact that the export of their superior lapis lazuli products continued on unabated right through the early Mycenaean Era, when Knossos was at its acme (ca. 1450-1400 BCE). That this is the case is clearly attested in specific references to lapis lazuli on Linear B tablets. 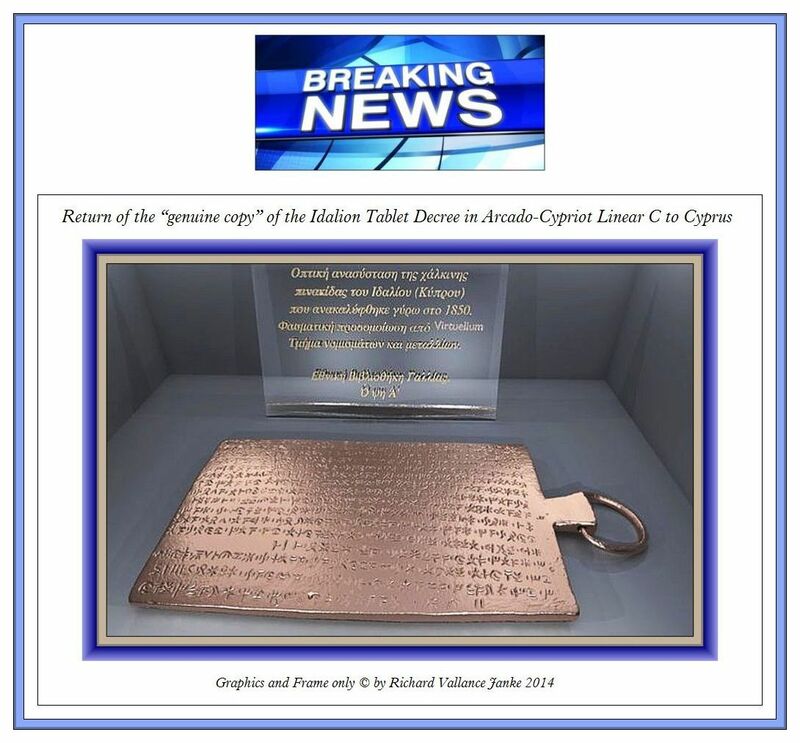 If it figured largely enough to warrant a place of merit on Liner B tablets, then surely, we might well conjecture, it should, strictly speaking, have also held place on honour on Minoan Linear A tablets. So in summary, Ms. Leonhardt’s approach to a potentially sound decipherment of at least part of HT 118 holds up on several counts: given that its contents probably refer to lapis lazuli in some manner, it makes sense that the tablet is in fact a ship manifest, for reasons of trade as cited above. Secondly, the happy co-incidence with the interpretations which she was able to coax from the Kanji characters she has researched in this context with the possibility that HT 118 might in fact deal with this very gemstone may not be fortuitous at all, but actually (indirectly) linguistically related. Ms. Leonhardt is not the first linguistic researcher to correlate Japanese Kanji with Minoan Linear A, but she has taken the potential parallelisms further than anyone else before her. I will never be the one to decipher Minoan Linear A, but I certainly hope Ms. Leonhardt will be. 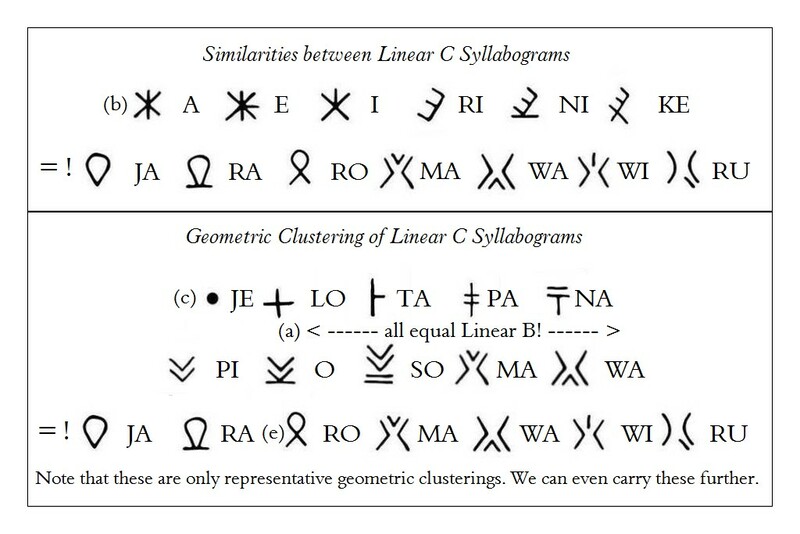 Both Linear A, which was used to write the undeciphered Minoan language & Linear B, its immediate descendent, which was used to write Mycenaean Greek, shared character sets which were uncannily similar and in the case of a fair number of syllabograms, identical. However, given that Mycenaean Greek did not require anywhere near as many characters as had the Minoan language, Linear B, all for the sake of greater simplicity, abandoned a great number of the more complex Linear A syllabograms, homophones, logograms and ideograms as plainly extraneous. When the Linear B scribes devised the new syllabary, they simply tossed out everything from Linear B which was of no further use in representing early ancient Mycenaean Greek. And we must never forget that these two syllabaries, Linear A and Linear B, its much simplified offshoot, were used to write two entirely unrelated languages. Because the first, Minoan, is undeciphered, we have no way of knowing to which class of languages it belongs, except that so far at least, it has utterly defied decipherment as anything like an Indo-European language. On the other hand, Linear B was used for early ancient Greek, which is an Indo-European language. The point I am trying to make is that these two syllabaries, which are so much alike not only in appearance but to a large extent in phonetic values, represent languages belonging to completely different classes. While the scripts look uncannily alike, the languages underlying them are entirely unalike. Conclusion: even scripts, in this case scripts which make use of a combination of syllabograms, logograms and ideograms by and large (nearly) equivalent, may easily represent languages which have nothing to do with one another. The direct opposite scenario can, and does often occur. 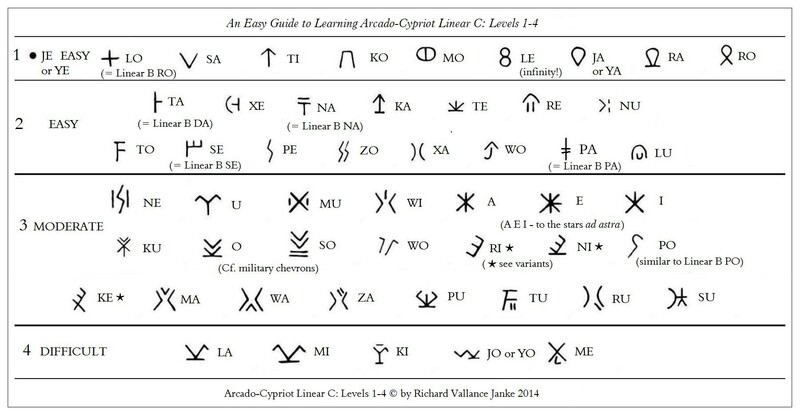 Linear B and Linear C used completely different syllabaries to write two extremely closely related dialects of the same language, ancient Greek, the first, Linear B for Mycenaean and the second, Linear C, for Arcado-Cypriot. No two dialects in ancient Greek are nearly as closely related as are these two, not even Ionic and Attic Greek. In the majority of cases, in fact, although morphemes (words) in Linear B & Linear C of course look completely unalike in their respective syllabaries, their phonetic values, far more often than not, sound & are (almost) exactly the same, because they are phonetically (practically) one and the same Greek word. Moreover, Arcado-Cypriot was written using both Linear C and the Greek alphabet. Same document, different scripts. So in Arcado-Cypriot, regardless of the script, the words (morphemes) and their phonetic values are identical. Moreover, in a great many cases, any given Greek word written in Linear B, Linear C or in alphabetical Greek in either of these two germane dialects is, plainly and simply, the (exact) same word. This phenomenon is of vital, if not critical, significance to the translation of tablets composed in Linear B and in Linear C alike into alphabetical Greek. Phonetically, the results can often be astonishingly alike, if not identical, for all three scripts (Linear B, Linear C & alphabetical Arcado-Cypriot). Any attempt to make sense of any comparison between the ideograms of an oriental language such as Chinese and those of a script used for an Occidental language, in this case, Linear B for Mycenaean Greek, may seem to be an exercise in utter futility. Yet, in some senses, it turns out not to be so. 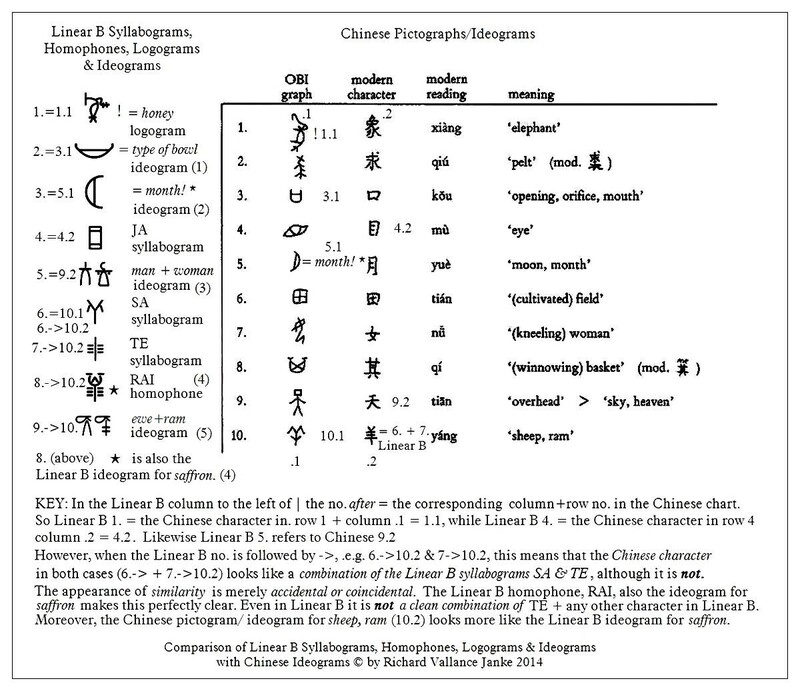 This is quite clearly demonstrated in the chart of only 10 ideograms for Chinese words, compared with 10 similar looking syllabograms, homophones, logograms and ideograms in Linear B. The point I am trying to make here is simply this: as far as the assignation of ideograms is concerned, even languages as disparate and as geographically distant from one another as Mycenaean Greek and oriental Chinese, often end up using ideograms which either look almost exactly the same or are uncannily similar in appearance, even though the morphemic values underlying them are almost always completely unrelated, which goes without saying. Or does it? In one case and one case only, the ideogram for “month” in Chinese is the exact mirror image of the same ideogram in Linear B! Can this be so surprising, that the Chinese and Linear B scribes alike took the cue for the symbolism for the ideogram, “month”, from the exact same astronomical phenomenon, the moon? Of course not, given that almost all ancient societies had recourse to the lunar, not the solar, month. I have made no effort here to compare the Linear B & Chinese ideograms in the chart above with the ideogram for “month” in any other ancient language, undeciphered or not, but of course there are scores of languages based either completely (ancient & modern Chinese, Korean & Japanese) or partially on ideograms (such as Linear A & B, but not Linear C). 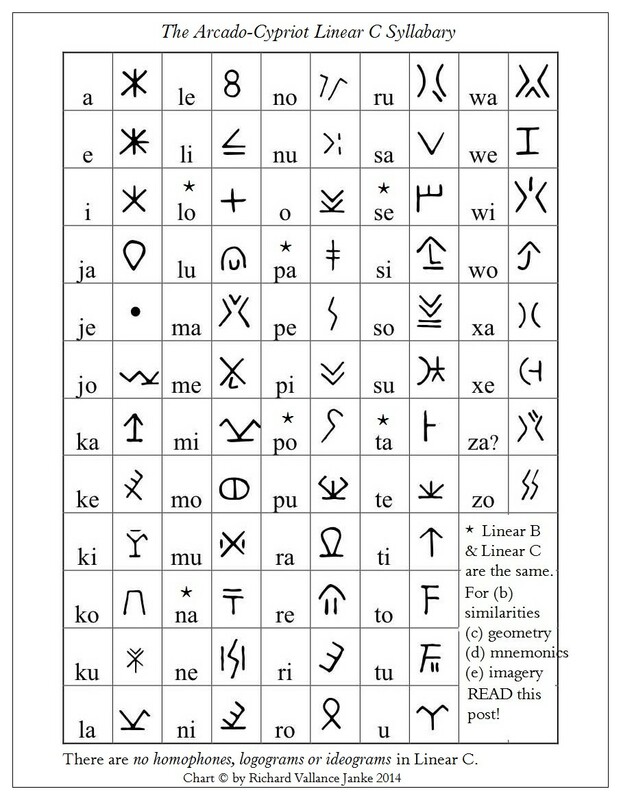 Rummage through as many of them as you like and you are bound to turn up ideograms very similar to those for “month” in both Linear B & Chinese. In a sense, this striking similarity is in part accidental, since anyone can use any symbol even remotely resembling the moon for “month”, yet at the same time, chances are good that people speaking languages as geographically and linguistically remote as ancient Mycenaean Greek and (ancient or modern) Chinese can and will come up with practically the same ideogram. This phenomenon of (striking) similarity in the appearance of ideograms between two entirely unrelated languages will (in the very rarest circumstances) result in the same meaning, but even then, of course, the pronunciation will be utterly different, because it must be. The ideograms for “month” in Linear B & Chinese look like mirror images of one another, but their pronunciation is totally alien, the Linear B for month being some variation on the Greek, “mein”, the Chinese being “yuè”. Of course, the obverse also holds true. Take one look at our chart above, and you can see right away that the very first ideogram in the Linear B column looks almost identical to its Chinese counterpart in column 1.1. Yes, they look like kissing cousins. But they mean something entirely different. This can come as no surprise to anyone familiar with linguistics. C. One is an Ideogram, the Other is Not! Of course, in the vast, vast majority of cases, ideograms which look the same from one language to another almost always mean something entirely different. But there is more. The first example we see in the Linear B column is not an ideogram at all, but a logogram composed of two Linear B syllabograms, ME & RI, the one superimposed on the other. In other words, what is an ideogram in one language (Chinese) is not an ideogram at all in another (Mycenaean Greek), even though they look almost identical, as is the case with our first example in the chart above, the logogram for MERI “honey” in Linear B, which looks almost identical to the ideogram in Chinese for “elephant”! Referring to Linear B entries 4. 6. & 7. in our chart above, we see that we have the syllabograms JA, SA & TE respectively. JA looks quite similar to the Chinese ideogram for “eye” (4.2) and SA + TE again like “sheep, ram” (10.2). Now of course, things get really messy, because Linear B uses two (2) ideograms, one for “ewe”, another for “ram”, and Chinese only one for both, with absolutely no resemblance between the Linear B & Chinese. This of course is the scenario for practically all syllabograms, homophones, logograms and ideograms on the one side (Linear B) and the ideograms on the other (Chinese), say 99.9 %. What is true for Linear B and Chinese is also true of any two languages which either use pictograms and ideograms almost exclusively (Chinese) or ideograms in combination with other signifiers such as syllabograms, homophones & logograms (Linear B). Many of you are surely asking, “What on the earth is the point of this, if not an exercise in futility? Why even bother with it?” The answer is simple enough: why climb a mountain? - because it is there. A great many researchers specializing in comparative linguistics are fascinated by just this sort of thing... which is why I brought it up in the first place. But there is another reason, even more compelling than this, which I shall reveal to you in our next fascinating post, before we have done with this topic once and for all.